1971 – Rock’s Golden Year by David Hepworth – what do you think? 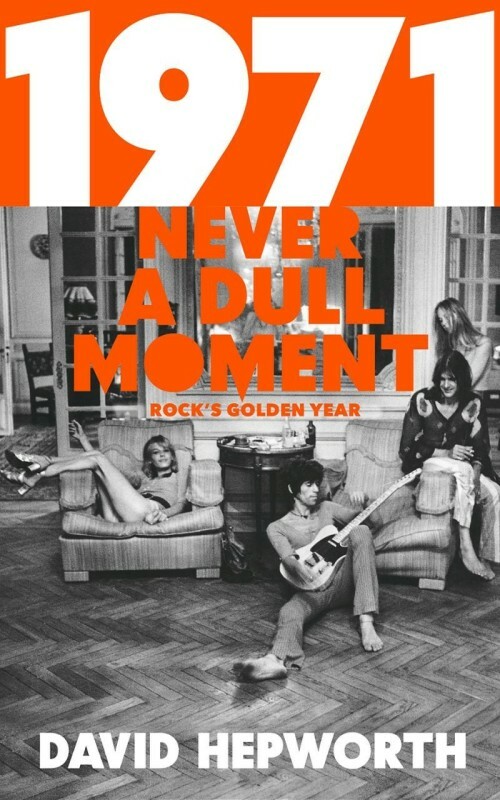 1971 Never A Dull Moment rock’s golden years book. David Hepworth who was involved with Smash Hits, Q, Mojo, The Word and others, believes 1971 was the ultimate year for rock music. 1971 was great for music but very difficult to pinpoint a certain year. For me it is probably 1967 with the golden years being from mid sixties to early seventies. What does everyone think? Gary Kinch… Stating the obvious here:The state of the arts needs to be viewed in context with the wider social/political/economic environment. A renaissance doesn’t happen randomly. This is why most (not all thankfully) modern music is so shallow……. ………not sure about pinpointing 71, sounds too definite and dogmatic. Certainly around then though imo.